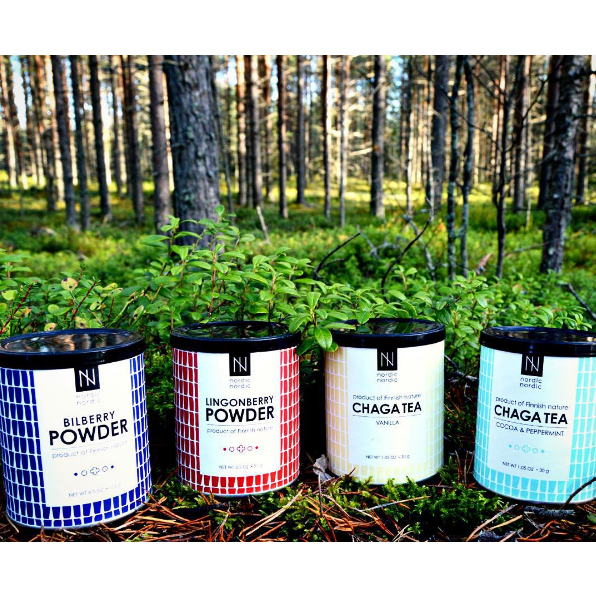 Delicious Finnish berry powder and chaga tea recipes! See them here. 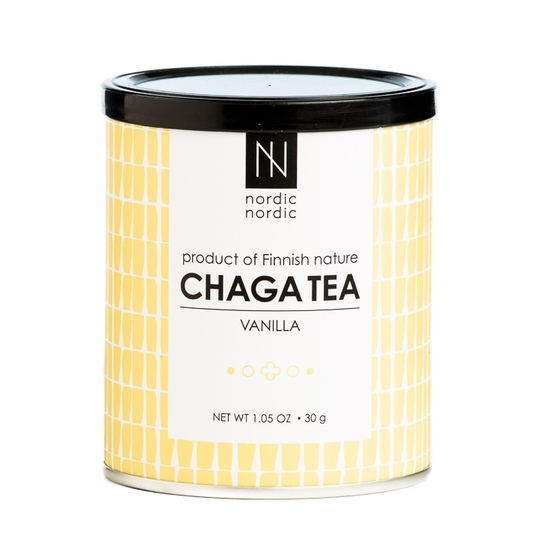 More about NordicNordic Vanilla Chaga Tea Enjoy the benefits of nature's most powerful antioxiday with more than 215 phytonutrients and Superoxide Dismutase (SOD). 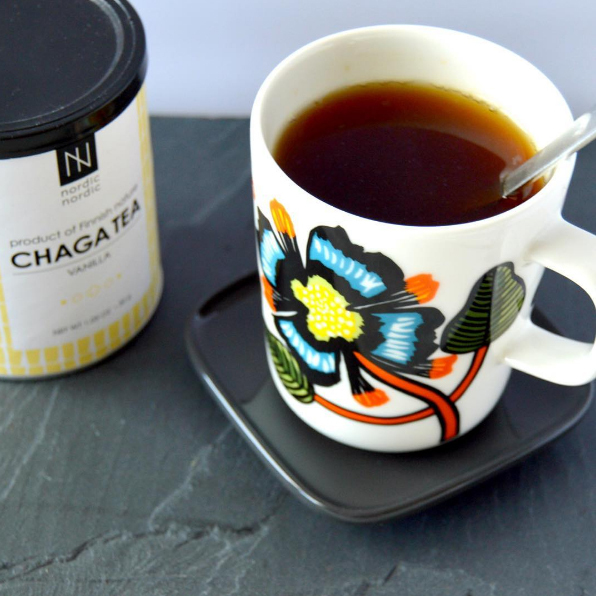 Made from chaga mushrooms hand-picked from Finnish nature, this tea contains no MSG's or artificial additives but does contain organic Madagascar Bourbon pure vanilla to soften the flavor. This means it is vegan, raw, paleo and kosher! Nutrient rich and caffeine free, it is an immune system modulator and good source of Beta Glucans and Betulinic Acid. 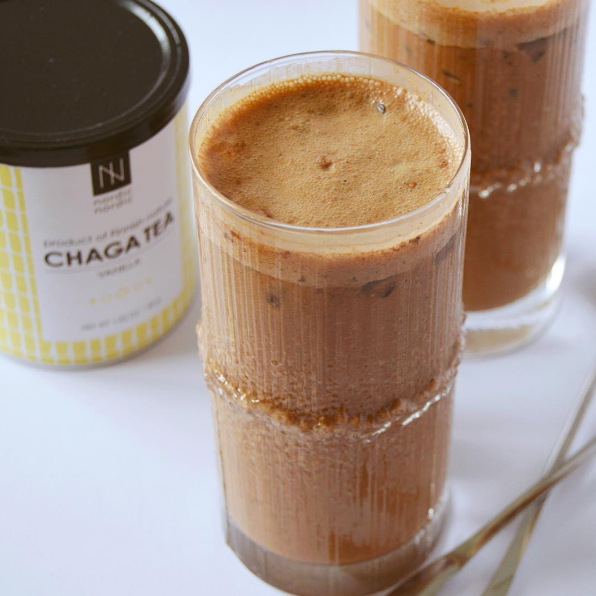 The benefits of chaga are best absorbed when enjoyed with Vitamin C, so pairing it with other NordicNordic products is recommended. 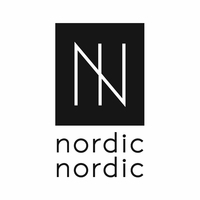 Each container of NordicNordic Vanilla Chaga Tea has 20 tea bags that can be re-used until no more flavor is released for about 60 cups of flavorful tea in total. 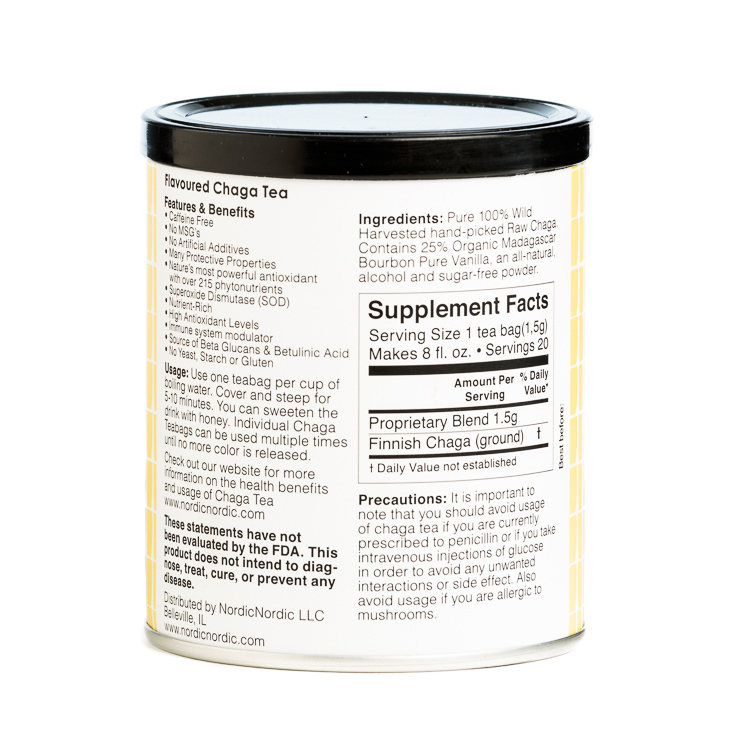 Please note: Avoid usage of chaga tea if you are currently prescribed to penicillin or if you take intravenous injections of glucose in order to avoid any unwanted interactions or side effect. Also avoid usage if you are allergic to mushrooms. 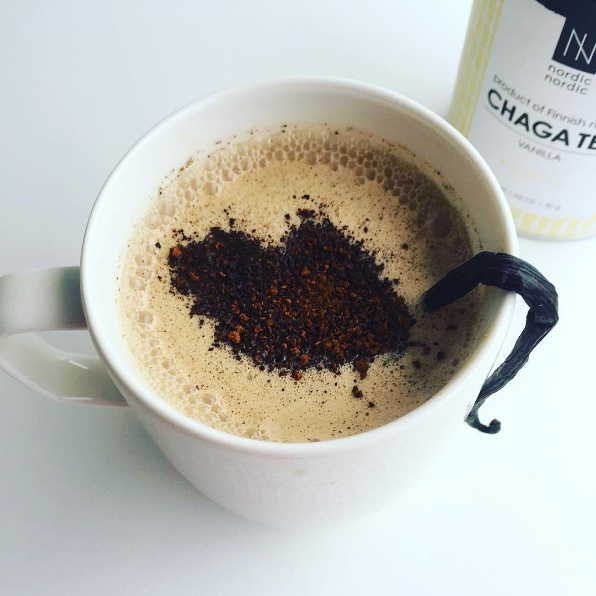 Click here to see what you can make with this Vanilla Chaga and other NordicNordic products! See secondary image for supplement facts. Tastes good and super healthy! I usually take Chaga supplements for the health benefits in a pill supplement form so I was a bit hesitant about how this may taste. I had negative expectations but turns out the flavor is quite mellow and pleasant. Even my kids don't mind drinking it but I do sweaten theirs with a little bit of honey. I drink mine plain. I get 2 serving from one bag. ProsMellow, pleasant taste. Easy to brew. No mess. This tea is supposed to help immune system and can attack certain cancers. Tea is good - I thought the container would be larger. What are the directions for brewing? Directions are on the secondary picture with the nutrition information. It is tea bags, so you steep them in hot water for 5-10 min as desired.